A wolf expert travels to a peculiar Alaskan village to investigate a series of child murders. There’s a bit of bait and switch going on in this murky, brittle novel. The opening chapters lead you to believe this will be a wilderness-survival story centered on Russell Core, an elderly expert on wolves whose field research once led him to kill one of the great beasts. Carrying his grudging respect for the animals, Core travels to the hamlet of Keelut at the behest of Medora Slone, whose 6-year-old son, Bailey, is the third local child to have been taken in the night. After some impenetrable warnings from a local crone (“You would bar the door against the wolf, why not more against beasts with the souls of damned men, against men who would damn themselves to beasts”), Core investigates the local pack to find no evidence the boy was killed by wolves. Back at Medora’s house, he finds that she's fled and quickly discovers Bailey’s body buried in the basement. The bulk of the book concerns Bailey’s father, Vernon, a vet who returns home from an unidentified war and embarks on a killing spree with indistinct motives, with Medora seemingly marked as the final target. Core, meanwhile, is laid up with the flu for two weeks in a local hotel before conveniently being resurrected to serve as witness to the novel’s denouement. Ultimately, the First Blood–like vigilante violence is unearned and confusing, while Core’s participation seems the act of a literary writer trying to bring emotional substance where little exists. 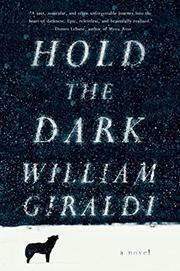 Giraldi (Busy Monsters, 2012) is borrowing, less successfully, from the same well as Cormac McCarthy and Daniel Woodrell, but the novel's affectation of style can't support what is ultimately a gloomy and unsatisfying tale. A novel like this one that aspires to greater meaning needs more than an assembly of hard men and noir idioms to make it work.